Iranian defense analyst Babak Taghvaee claimed on April 14 that The Israeli Air Force is reportedly successfully used new supersonic Rampage stand-off air-to-surface missiles for the firі time during a recent airstrike on Syrian military positions. Israel has reportedly conducted a number of strikes on sites around Masyaf in the predawn hours of Saturday morning. Satellite imagery analysis company ImageSat confirmed that Israel targeted the base in Masyaf. 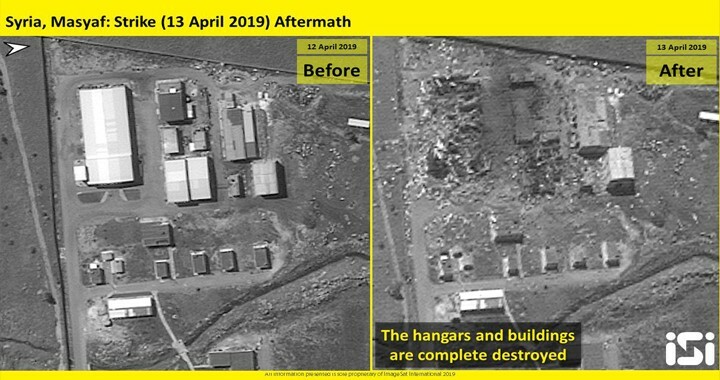 A large hangar and three nearby buildings were destroyed in the attack on the facility, near the city of Masyaf in the western Hama province, according to the satellite images analyzed and distributed by ImageSat International. 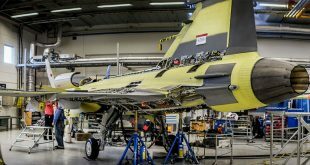 Some sources, included a military analyst Babak Taghvaee, have reported that Israeli Air Force could use for the first time its newest supersonic missile, called the Rampage. The missile adjusted to all offense platforms including the Israeli air force F-15, F-16, and F-35 fighter jets and should be used against anti-aircraft batteries, enemy’s headquarters, armament storages, and logistic bases among others. A new supersonic air-to-surface missile designed for the annihilation of high-quality targets has been developed by Israel Aerospace Industries (IAI) and Israel Military Industry Systems (IMI). The new missile is an accurate supersonic, long-range air-to-ground assault missile with a warhead, rocket engine and advanced navigation suit which allows for precision targeting at a very low mission cost compared to existing solutions. Among the missile, features are its ability to control and monitor the extent of its shrapnel, which will make its strike surgical, accurate and with minimum collateral damage despite the fact the missile spends a lot of time in the air from the minute it is launched until it strikes its target.